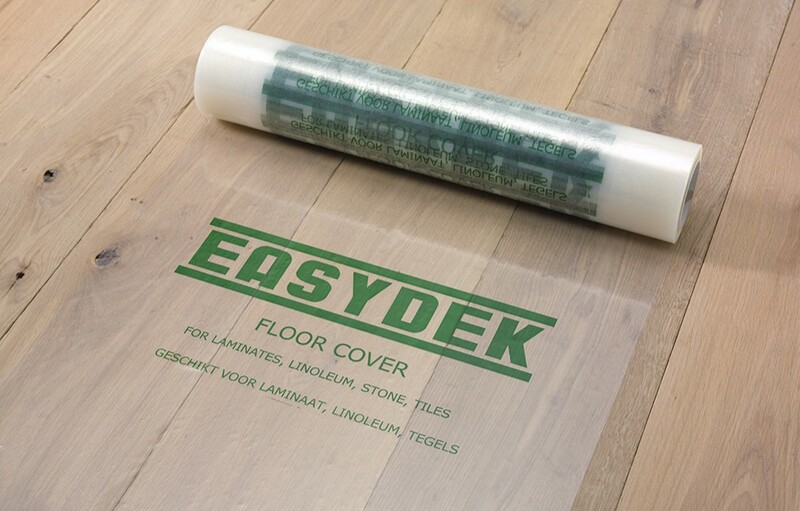 Easydek Floor Cover is a super strong, mildly adhesive protective film for the temporary protection of floors and stairs. The transparent LLDPE film has a specially-designed, water- based adhesive coating for optimum adhesion to hard surfaces. 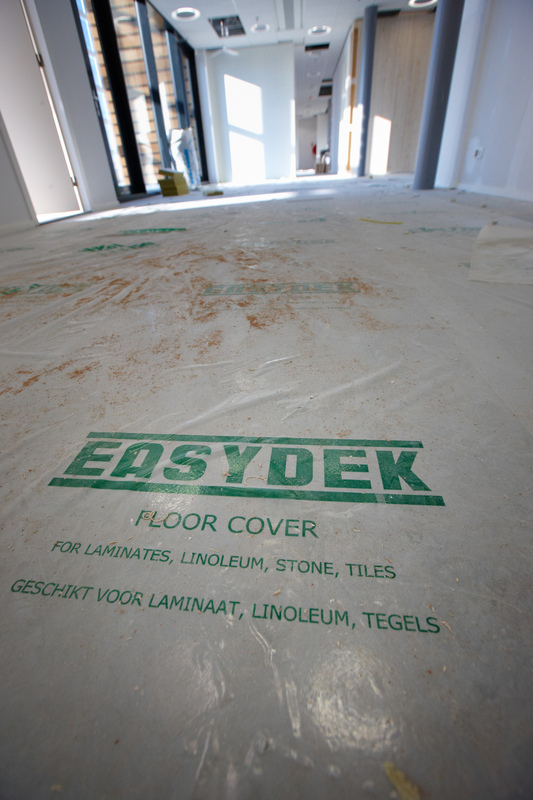 Easydek Floor Cover offers safe protection to hard floors such as laminate, linoleum, ceramic tiles or flagstones during new construction, renovation and maintenance work. Thanks to the very thick material, this product is particularly applicable for intensive work. 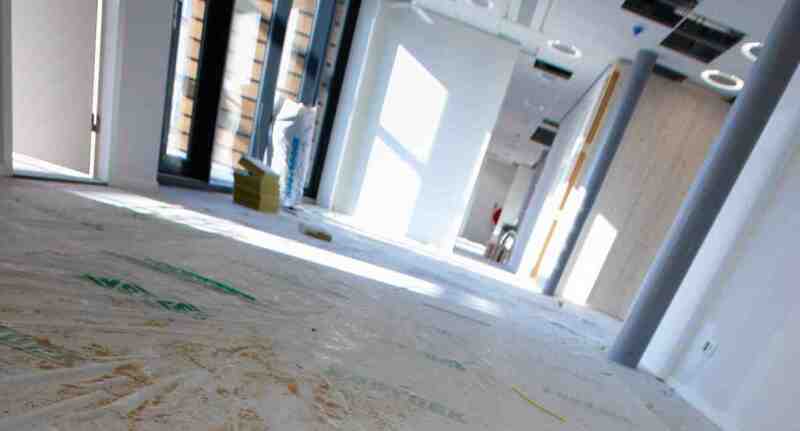 Covering laminate flooring, tiles or linoleum with Floor Cover is very simple. The protective film is rolled up in such a way that the adhesive layer is on the outside. Roll out the film by hand or foot until all the seams are overlapped. The floor has perfect protection in an instant. 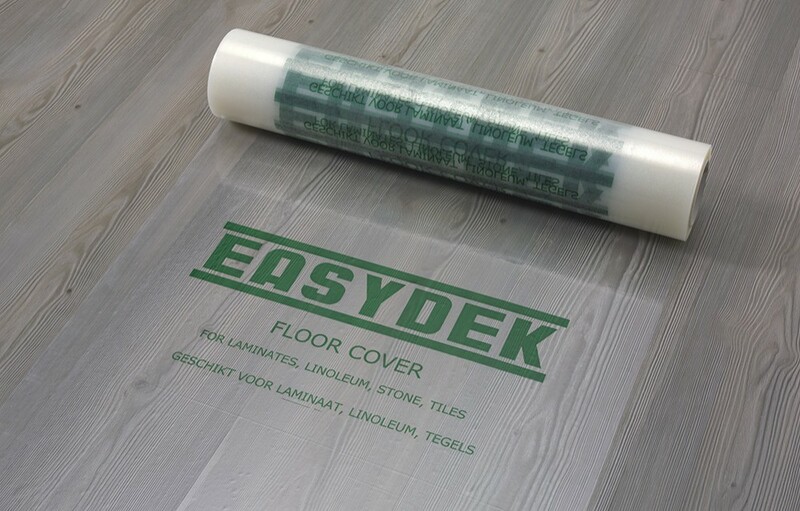 Easydek Floor Cover is quick and easy to use. 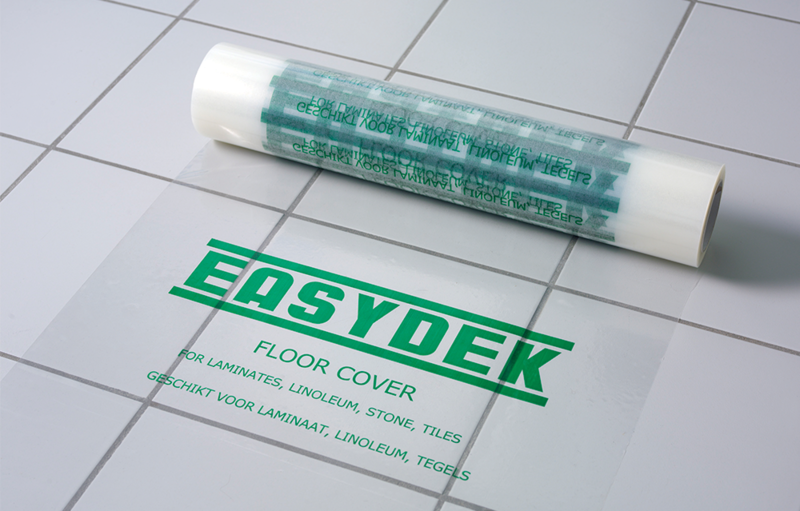 Thanks to the self-adhesive underlayer, it remains well adhered and no tape is required. 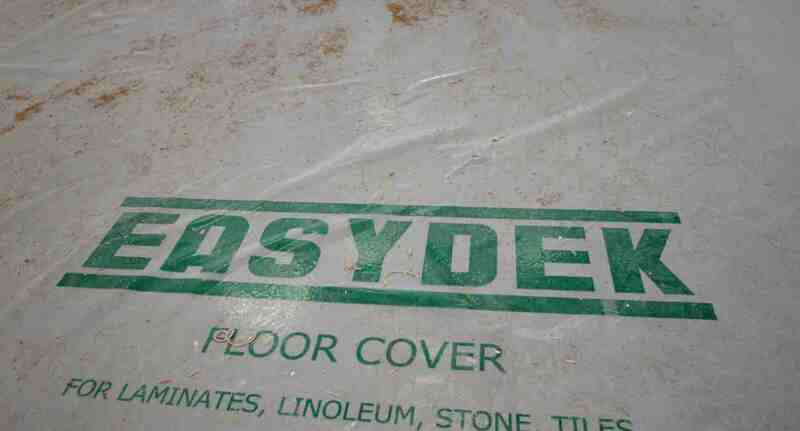 The film is therefore safe to use for mobile scaffolds, carts and dolleys. The adhesive does adhere to the surface too strong, which means it is quick to remove. No adhesive residue is left behind on the floor. 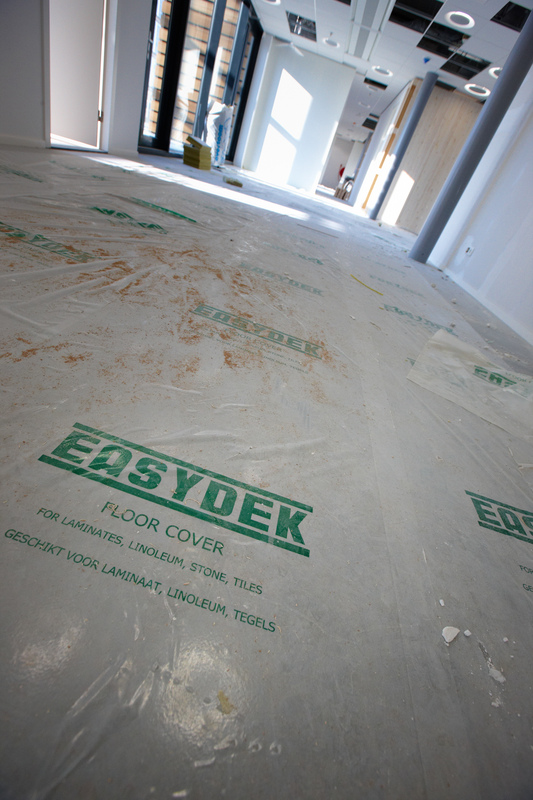 Easydek Floor Cover is available in a variety of thicknesses and adhesive strengths.